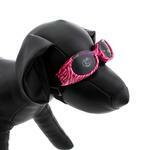 Your dog can walk on the wild side and still be protected with our Pink Zebra Frame ILS Doggles! 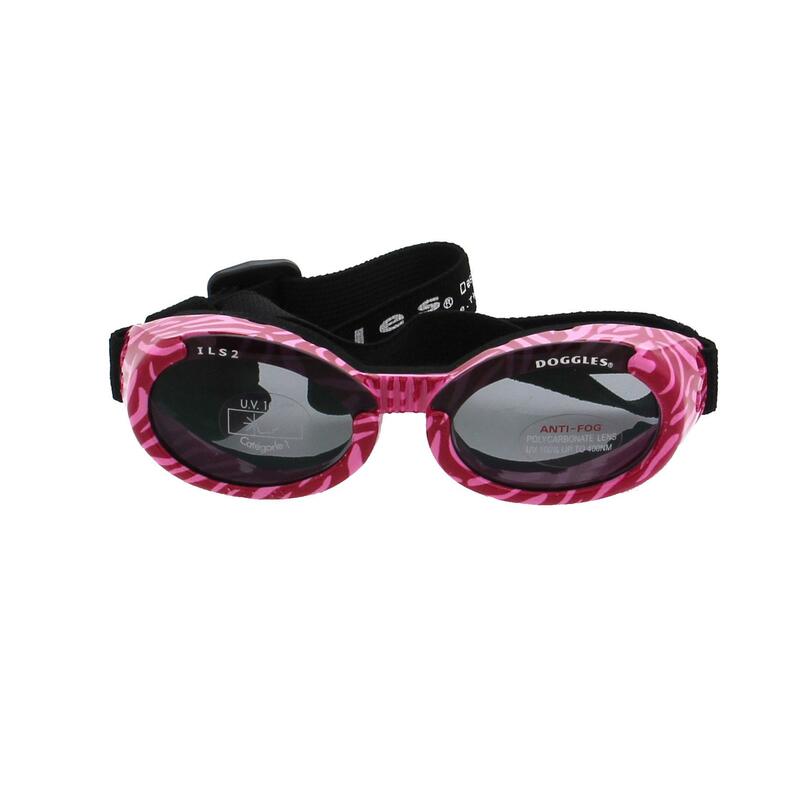 Bring out the wild side of your dog with the Doggles - ILS Pink Zebra Frame with Smoke Lens. Even though your pup wants to look a little wild with this sassy pink zebra style of fashion eyewear, it's still important to play it safe when it comes to her eyes! Our Doggles dog goggles are designed to protect dog's eyes from the sun's harmful rays, flying debris, wind, rocks, or bugs. Your dog can't tell you her eyes hurt, so be proactive and protect her eyes. Doggles also come recommended by Vet Ophthalmologists to protect their patients in all types of situations and also after some types of eye surgery. 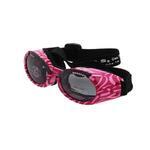 And don't forget that these Pink Zebra Frames with Smoke Color Lens Doggles are in the height of dog fashion! 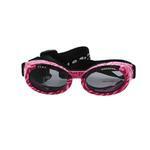 Doggles - ILS2 Pink Zebra Frame with Smoke Lens Customer Photos - Send us your photo! Darla loves her sunglasses and will leave them on all day. She wears them kayaking and bike riding in her basket. Posted On 08/08/18 by Chris from Greenfield, IN Yes, Chris recommends this product! love these doggles, fit nice and she leaves them on.